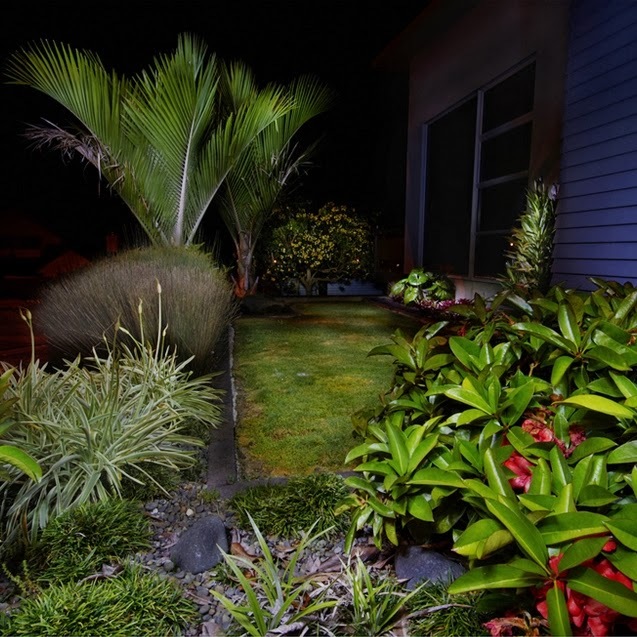 Our front garden after dark looks lively and enchanting with Bob’s light painting technique. I borrow the heading of this post from the first half of the name of the 1997 film based on non-fiction novel – Midnight in the Garden of Good and Evil starring Kevin Spacey, John Cusack and Jude Law (when he was not yet famous). We are Kevin Spacey’s fans so naturally think this film is good. We have also watched the last episode of Spacey’s House of Cards (remember FU or Francis Urquhart from the BBC’s series of the same name – FU was played by the late Ian Richardson ) not long ago. The American series is quite different but in the same flavour more or less and IMHO, Spacy is much more wicked than Richardson. Of course, Spacy is still FU but U is for Underwood as Urquhart might be too much of a British name. House of Cards makes The West Wing quite pale in comparison. But if you are The West Wing’s fan – you will also like House of Cards, if not more. Sorry, I've got a bit carried away. Back to my garden - the plant on the right is Vireya Rhododendron - I have several of them and I think this one is called Captain Scarlet. On the left is a colony of Variegated Agapanthus "Tinkerbell". 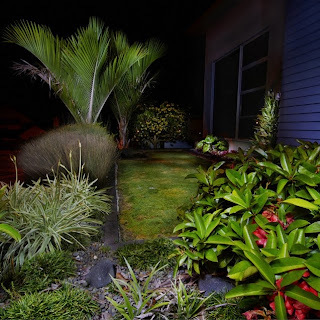 The palms are Nikau and the one with full bloom at the back is Australian Frangipani. In a warm night like this, frangipani smells gorgeous. We also have Star Jasmines in full bloom and they also smell wonderful at night so mine is a garden of good fragrance.